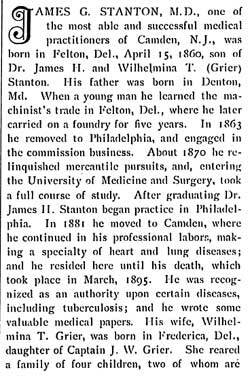 DR. JAMES GRIER STANTON was born to Dr. James H. Stanton and his wife, the former Wilhelmina Grier on April 15, 1860. 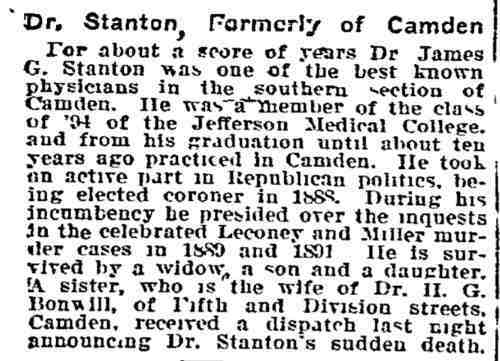 After graduating medical school in 1881, he followed his father to Camden, and began practicing medicine. 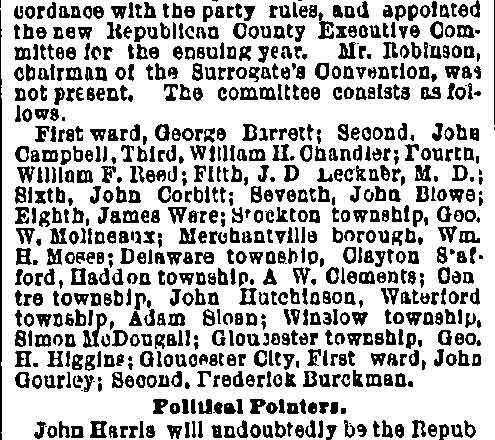 He married S. Jennie Hill of Milford DE in 1883. 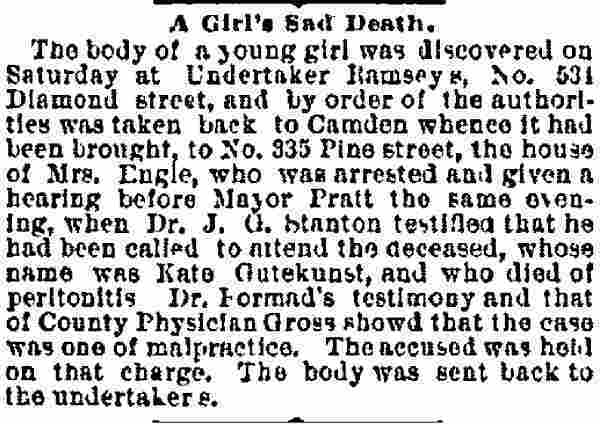 In 1884 Dr. and Mrs. Stanton had built a residence and office at 821 South 5th Street, the corner of South 5th and Division Streets in South Camden. 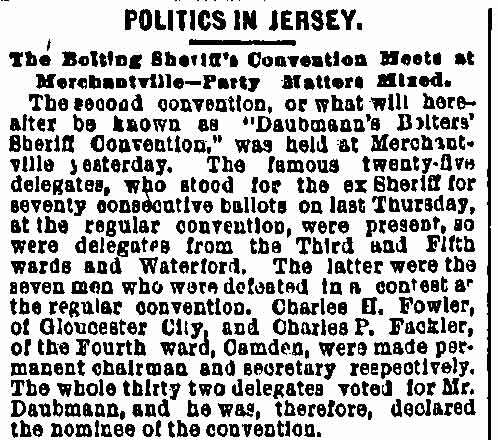 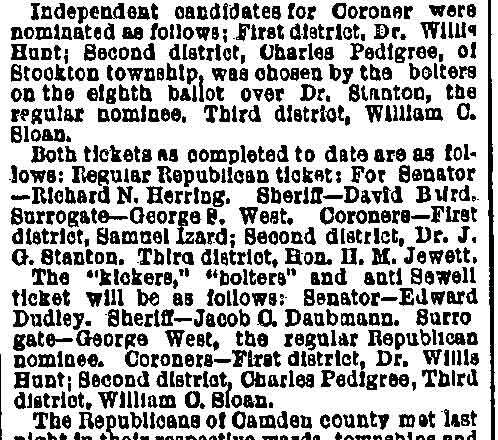 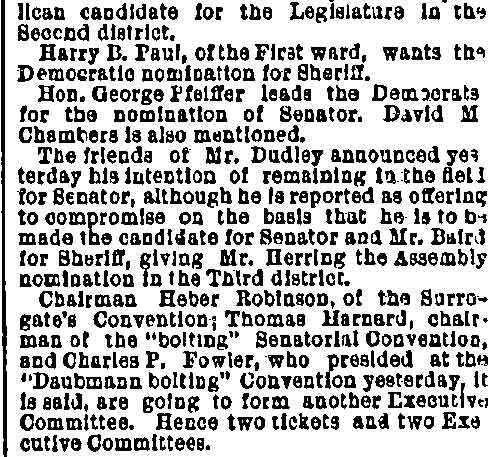 Dr. Stanton was a Republican, and ran at one time for the post of County Physician. 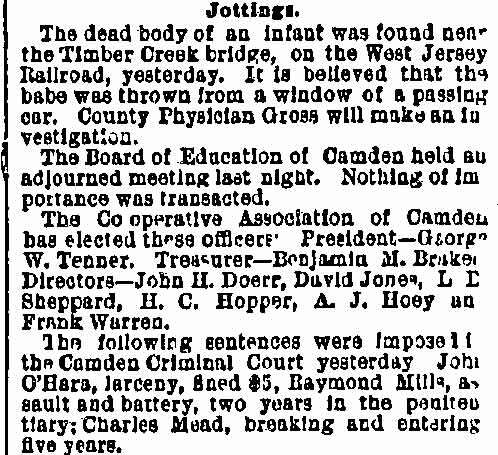 He served for three years as County Coroner beginning in 1887, during which time he was involved with the Anna Miller murder case. 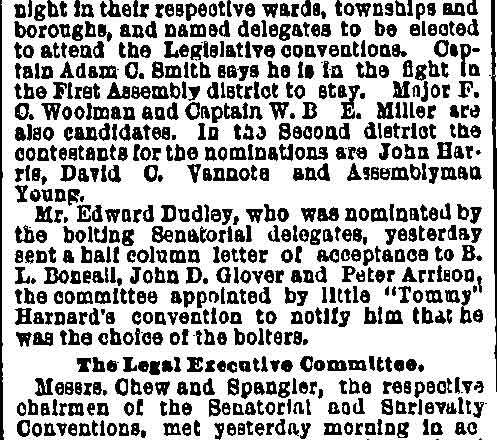 He also served as medical examiner for the Ancient Order of United Workmen, for the Order of Mutual Protection, and for the Metropolitan Life Insurance Company. 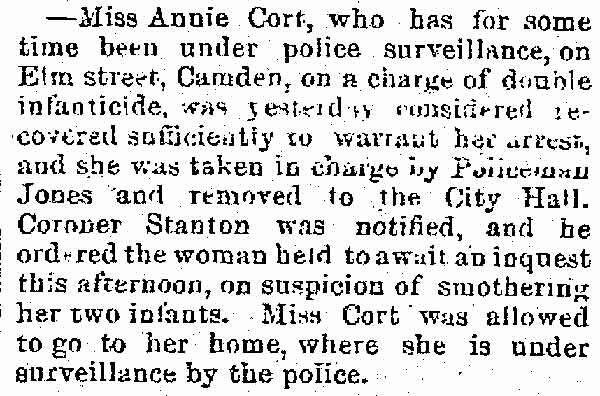 His wife was well known in local art circles as a painter. 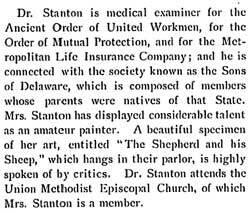 Dr. Stanton was a member of the Union Methodist Episcopal Church. 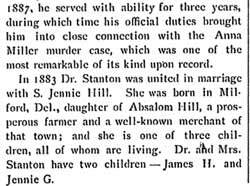 In 1890 his sister, Clara Stanton, married Dr. Howard G. Bonwill, who had studied medicine with their father. 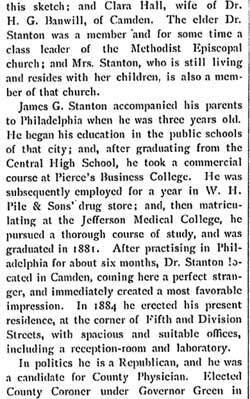 Dr. James Grier Stanton passed away September 4, 1909.